Polite Society doesn’t take Lady Anne Adamson seriously. However, Anne isn’t just another pretty young miss. When she discovers her father betrayed her mother’s love and her family descended into poverty, Anne comes up with a plan to marry a respectable, powerful, and honorable gentleman- a man nothing like her philandering father. Harry, the Earl of Stanhope is a jaded, cynical rogue who lives for his own pleasures. 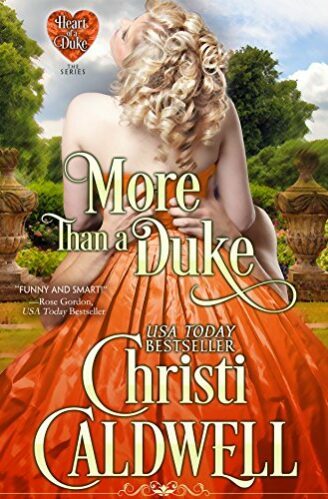 Having been thrown over by the only woman he ever loved so she could wed a duke, he’s not at all surprised when Lady Anne approaches him with her scheme to capture another duke’s affection. He’s come to appreciate that all women are in fact greedy, title-grasping, self-indulgent creatures. And with Anne’s history of grating on his every last nerve, she is the last woman he’d ever agree to school in the art of seduction. Only his friendship with the lady’s sister compels him to help. What begins as a pretend courtship, born of lessons on seduction, becomes something more, leaving Anne to decide if she can give her heart to a reckless rogue, and Harry must decide if he’s willing to again trust in a lady’s love.